June means Crush on Summer! 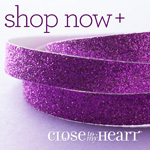 It’s time to crush on summer with Close to My Heart’s Constant Campaign in June – Summer Crush! During the month of June, when you purchase any My Crush® book and its accompanying assortment pictured in Annual Inspirations 2014–2015, you will receive the coordinating stamp set FREE! That is a savings of at least $9.95 USD / $10.95 CAD! Choose from five lovely My Crush book offerings that will provide a swoon-worthy background for your favorite memories. From family reunions to camping adventures to holiday countdowns—and much more—you will be crushing on all these books and the possibilities they provide. Every My Crush book features a hard cover with wire binding and cardstock-weight pages that are printed with eye-catching designs to form the perfect bases for your memory keeping. Additionally, each My Crush book also features unique details—from glossy print, to vellum pages, to gold foil, to ink-resistant patterns—that make displaying your personality easier than ever. Plus, once you add the artistry of the coordinating assortments featuring sticker sheets, envelopes, alphabets, cards, and journaling spots, along with your free stamp set, you will be well on your way to your own gorgeous mini book creation! This offer is only available while supplies last* and once they’re gone, these books are gone for good, so put your orders in early to get your summer romance rolling today! It’s so easy to have a “Summer Crush”. Think outside the box with the My Crush books. I have seen them taken apart to use the pages as cards or accents/parts of 12″x12″ pages! I love using the My Crush embellishments on cards and my pages! It’s really a versatile product. Best deal yet? Place a $25.00 order between now and June 30, 2015, and I’ll send you a stamp set from my stash (it will be a surprise!) FREE!! All you do is place your order and make sure you are in the “June Online Orders” gathering. You’ll get a surprise in your mailbox!! Everyone loves fun mail! Smiles, Hug, and Happy Creating! It’s so sad to post this update about our Faux Leather Albums. They are retiring in August 2015! Important information to provide you ahead of time so you can get your favorites now!! These beautiful 12×12 albums are one of my favorites. They will protect your precious memories. The leather-like luster looks like real leather and embosses extremely well (by an Album Embosser). They are expandable and CTMH has the posts and spine expanders available. Their price point of $29.95 each makes them very affordable. The most important part of this post is the Dark Chocolate Album (Z1342) has very limited quantities left!! Place your order today! Order two of them and you’ll get a free set of sequins from me. Place your order and I’ll mail them directly to you! I’m having a Customer Appreciation Online Event to say “THANK YOU” for supporting my business over the past year! Without YOU, I would not have earned the Hawaii Incentive Trip. Tomorrow, we leave for Hawaii!! Level 3: $100 Order* – Free Paper Packet, Matching Complements, and Matching Assortment (value up to $21.85/$25.00**) (Consider Joining My Team – getting $370 of product for $99.00 plus the Level 3 Customer Appreciation Special!) (please note the faux leather albums are not included in the special). 1) Go to my shopping site: www.lindacreates.ctmh.com . Join the Customer Appreciation Event for shopping. 2) Place your order. Do not add your free items to the cart. 3) Email me your choice(s) based on your order amount before shipping/handling/tax. Please include a phone number so I can reach you when I get back. 4) I will order on February 15/16 when I return. It will be shipped directly to you. Important!! Do not add these free items to your cart! Email your choice(s) of free items you would like and then I will have them shipped separately! Orders will be placed from February 15-16, 2015. Thinking of hosting an online gathering? Do this with your show closing February 13, 2015, and you/your friends and family can take advantage of the Customer Appreciation Specials. Just have them add themselves to your show! Let me know if you want to do this and I’ll set it up for you! Maximize your dollars in February by taking advantage of the Photo Album Special, Album Allure, (from CTMH) and the Stamp of the Month. Purchase one album at $34.95, get the second album at 50% off – $17.50, for a total of $52.45 (Value of $70.00). Add on the February Stamp of the Month for $5.00 (Value $17.95 – for yourself or a gift) for a total of $57.45. (Value of $87 + Level 1 Free Paper Pack $9.95 = $97.00 for $57.45!). This take your total order to $110.40. Your product value is $157 + Level 3 Free Product of $21.85 = $178.85!! You saved $69.00. This is really an amazing deal!! The only better deal is to join my team! Join while I’m in Hawaii and you’ll get the same special as if you had placed a $100.00 order. There are two fantastic kits to choose from: Cardmakers or Scrapbookers. The kits are shown below. The retail value of the kits is $370 and you get this great kit for $99.00, saving you $271 ! Plus you get the Level 3 FREE product for the Customer Appreciation Event because you spent the $99.00 for a kit. You can even get your kit for FREE if you sell $1200 in the first 90 days of signing up. When you sign up, email me your Level 3 choices! They’ll be mailed separately when I return. Have fun and I can’t say enough how very much I appreciate you! February is brings Album Allure from Close to My Heart! Take advantage of CTMH’s sale event where you can BOGO50% (Buy One Get One 50% Off). It’s cold outside so it’s a great time to stay inside and fill these albums by getting your memory keeping or scrapbooking done! Some albums are Ruby and others Lagoon; they’re all buy one get one half off—a treat just for you! During the month of February, when you purchase one of Close To My Heart’s alluring coated canvas albums you will be eligible to receive a second album of your choice at half price. That is a savings of over $17 USD / $19 CAD! These albums are available in a gorgeous variety of colors and patterns in both post-bound and D-ring styles—perfect to pair with traditional, Studio J®, or pocket scrapbook layouts. This offer is only available while supplies last, so make certain to get your order in early to ensure you can choose the styles and colors you love. They’re going fast and are built to last; so don’t delay—place your order today! Please note the Faux Leather Albums are not included in this special! So excited to share with you that we have some new albums up on the website to purchase! There is a new post-bound (black) and 2 new D-Ring albums. Yeah! It’s been loooong awaited. Here are some pictures. I just love the lagoon album!! We all need great albums to put our layouts in and I’m so glad we have them. You will love the new and improved quality of these albums from the moment you get your hands on one. The posts in our post-bound offerings have been made easier to use, which will increase the convenience of your memory-keeping. On our D-ring albums, we have strengthened the rings to keep your memories secure for a long time. The covers are built using a sturdy rigid material, and the exteriors are covered with coated canvas. Because canvas is a natural fiber, you may occasionally get an album with small flecks of color in the design. Such flecks are not a defect, but just part of working with natural fibers.